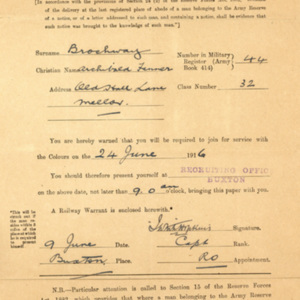 Newsclippings "Fenner Brockway Charged" and "Mr. Fenner Brockway and the Marple Tribunal"
Newsclipping "No-Conscriptionist Fined at Bow Street" and newsclipping "Mr. Fenner Brockway's Third Term of Imprisonment"
A. Fenner Brockway's Court Martial Statement, Chester Castle, September 5, 1917. 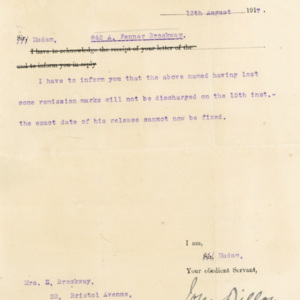 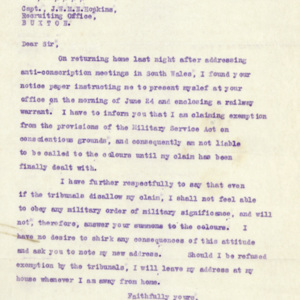 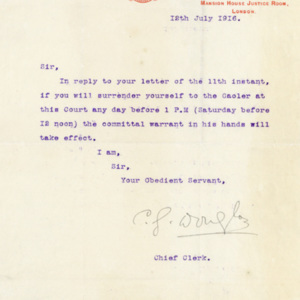 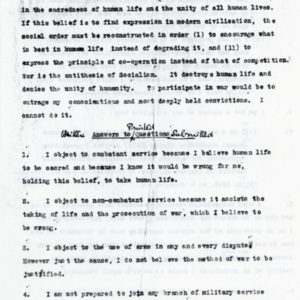 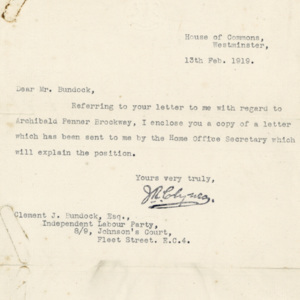 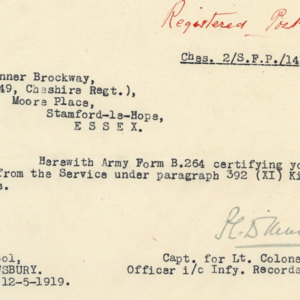 Memo with discharge certificate for WWI British C.O. 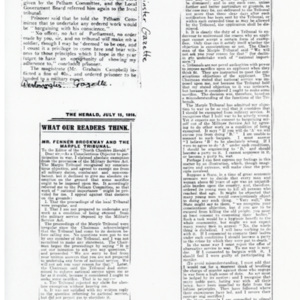 News article "An I.L.P. 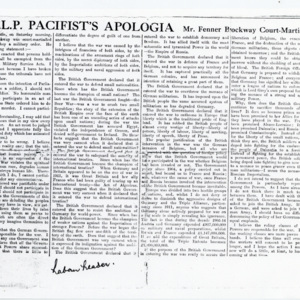 Pacifist's Apologia. 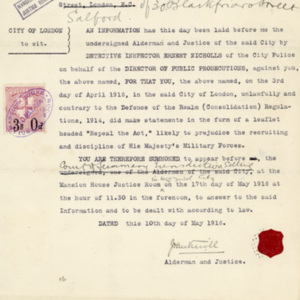 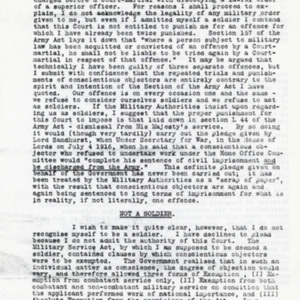 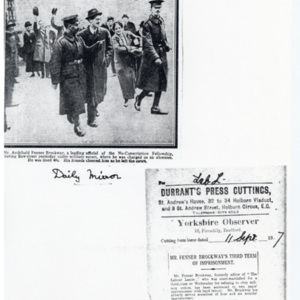 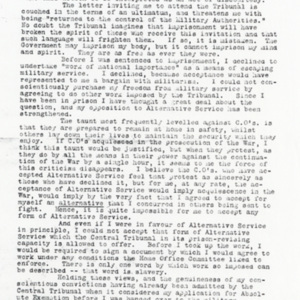 Mr. Fenner Brockway Court-Martialled"
news article with statement for court-martial, published in "Labour Leader"
Notice Paper to be sent to men who belong to the Army Reserve under the provisions of the Military Service Action, 1916.
conscription paper for WWI British C.O.